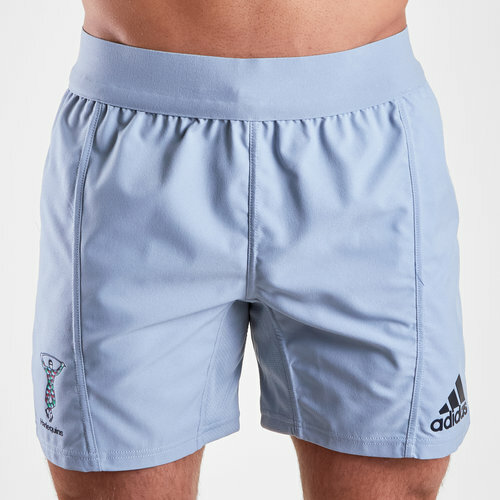 Whether it's at The Stoop, training or out and about make sure you're comfy in these Harlequins 18/20 Alternate Players Shorts from adidas. The Gallagher Premiership’s heavyweights Harlequins FC have a new training and match day clothing collection. adidas have worked hard to add the touch of the jester, the club's motif for over 150 years. These shorts are light grey with adidas' classic three stripe motif down each side, one in green and one in black. The adidas logo is printed on the left side as worn in black with the Harlequins badge on the right.